The Tiago Aktiv will have a price of about ₹ 30,000 more than the regular Tiago. The Aktiv kit will be made available as an accessory and can be fitted on any variant of the Tiago. 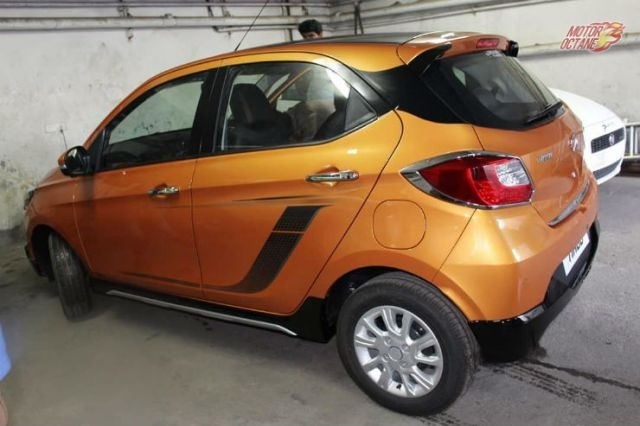 The Tiago Aktiv will look different from the regular Tiago due to the add on kit that it will offer. This body kit to make it look rugged and stylish. The upper lip of the front grille is matte black in colour. There will not be any change in the ground clearance of the car. the changes are only cosmetic in nature. The alloy wheels will will be the same and are not included in the kit. The lower part of the bumper will get an additional portion. This will add to the rugged looks of the hatchback. Aggressive is the word. it also gets underbody plastic moulding on the sides. The rear bumper has the lower part colored in blackm similar to the front part. The side of the car will have body graphics, to enhance the appeal. There are a lot of elements that make the Tiago Aktiv look a lot different from the regular Tiago. This body kit on the Tiago makes it look extremely stylish and smart as well. The interiors will remain the same as the Tiago. The feature list will also be the same with the eight speaker Harman music system, dual airbags and ABS on the higher variants. However there are a lot of accessories available, which can personalize the Tiago to one’s own choice. The Tiago Aktiv will retain the engines of the regular Tiago. The petrol will be the 1.2-litre Revotron that will churn about 80 horses. The 1.05-litre diesel will be producing 70bhp of power. Both will come mated to a five-speed manual. There won’t be any changes to its powertrain. Expect the Aktiv to be made available only in the top-of-the-line XZ variants only. Initially, as they are only made to order. 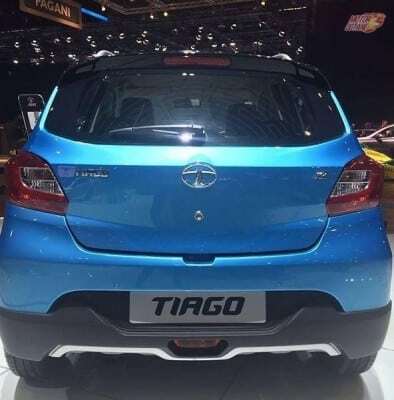 The Tiago Aktiv will mainly compete with the Maruti Celerio X, which was launched recently. The Tiago has been selling well and it has also beaten the Celerio in sales numbers. 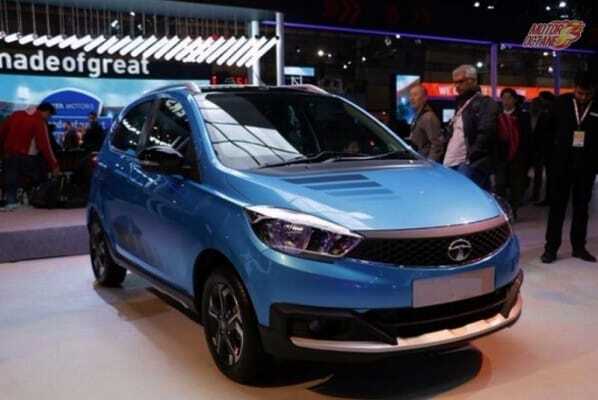 Tata will try and make most out of this and hence it has introduced the Aktiv kit.